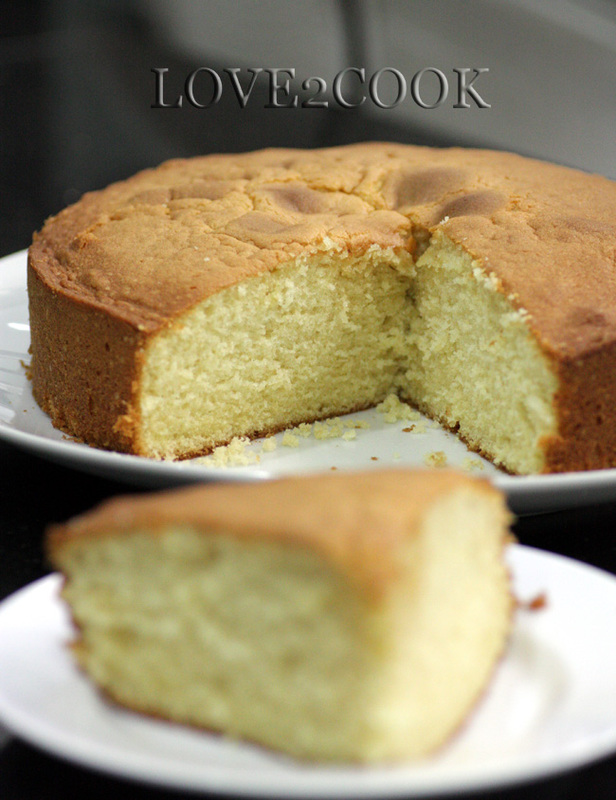 If you ask me what is my most favourite cake...my answer would be always plain Butter Cake! I was searching for the recipe throughout the net and found some interesting ones. Bookmarked a few already. So, please so bear with me if you see more butter cakes in my blog in future. Hehehe.. I'll start with a Moist Butter Cake by Ju from The Little Teochew. Guess the word moist attracted me enough to try this simple recipe BUT...truly delicious, soft, yummy cake. Preheat oven to 190 degrees celsius. Butter and line a 9-inch cake pan. In a medium bowl, whisk together flour, baking powder and salt. Using a mixer on medium speed, cream butter and sugar until fluffy for about about 2 minutes. Beat in egg, egg yolk and vanilla until well-combined. On low speed, add flour mixture in 3 parts, alternating with milk. Switch mixer to medium and beat for 10 to 15 seconds, just until batter appears uniform. Pour batter into prepared pan and smooth top with spatula or knife. Bake for about 40 minutes, or until it reaches a dark-gold color and an inserted cake tester comes out clean. Let to rest in pan for 5 minutes, then remove to a cake stand or platter. Sift with icing sugar if desired. Having no patience to taste the freshly baked cake, I sliced it straightaway after 10 minutes resting! Oooo yumm! Thanks to Ju from The Little Teochew for sharing the recipe. She has few more collection of butter cakes which I've bookmarked as well. p/s...I'm still recovering from my flu. Enjoy it with a cup of hot coffee should be nice! 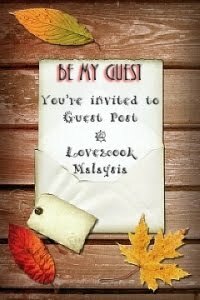 amboiiiii.. dah sihat ke tayang2 kek nih... huhuhu... akak pulak nk demam tgk kek love ni... nakkkkkkk!!!! Butter cake looks soft- moist n melt in mouth kind..yum! 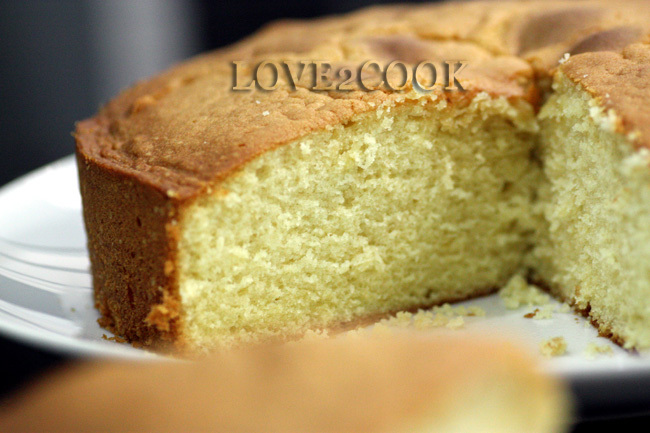 Indeed looks very moist,a perfect bake,lovely clicks! Sounds easy, looks nice, why not try. looking so.... soft n mouthwatering here! So moist and delicious, nak sikit utk minum petang boleh? 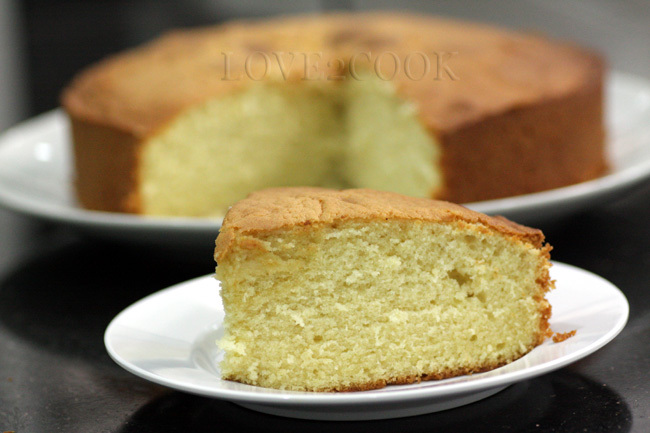 It looks just perfect dear...nice butter cake..
wow...now thats a perfectly baked cake..love it with a hot cup of tea. I love plain butter cake too, just made one few days ago, an old fashion of butter cake, have yet to post it, will post soon. Cake looks super soft,moist and yummy.. Since you are recovering from flu, make a nice cup of hot chocolate and a piece of this beautiful cake and I am sure you will feel much better. Cake looks so spongy. Lovely colour! sono passata a fare colazione.........mmmmmmmmmmmmmmmmmmmm.....! The cake look really great..I can feel the cake in my mouth...nice click,,,First time here....your blog is awesome..would like to follow you...nice blog.. 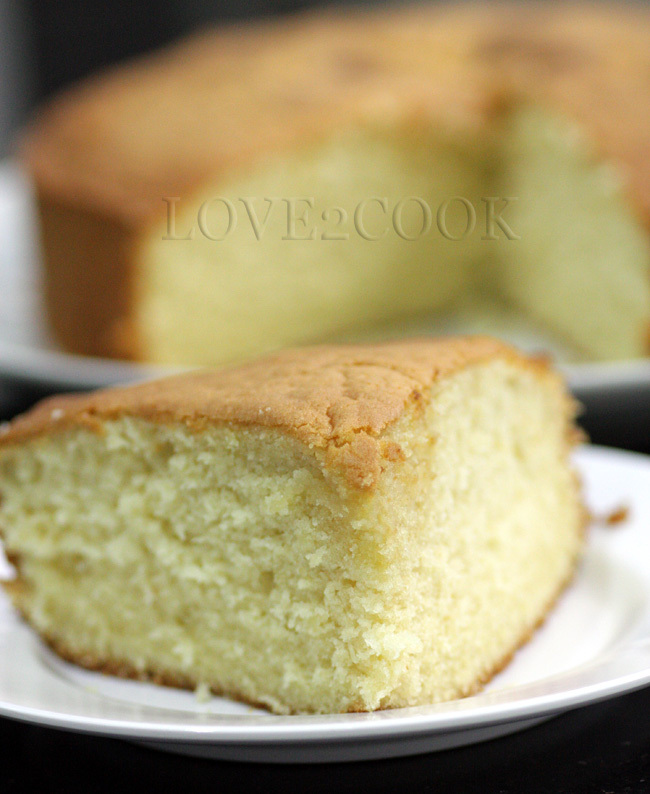 It looks awesome..so soft and melt in mouth texture..butter cake is my favorite too,bookmarked. hi love..nmpak gebus jer..butter cake love nih..minta sepotong wat supper lapo neh..
Love,kalau rajen wat la tutorial pasal photography guna DSLR tuh..akak ada bc komen love umah hana.. 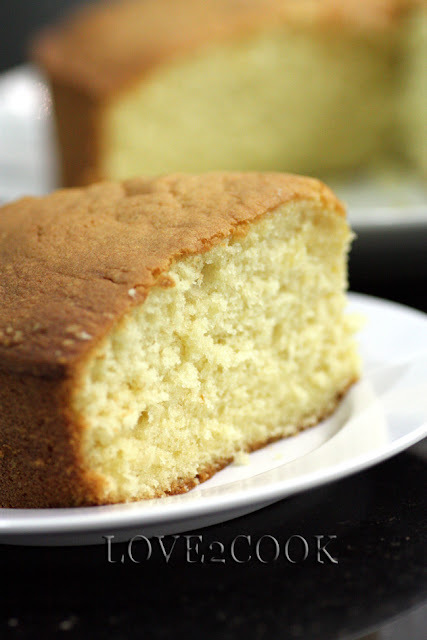 Your Moist Butter Cake Looks awesome and perfectly made. You have magic in your hands. I love butter cake and a moist one like that? I will die for! Put lots of butter in it....nice! lovely cake.. looks too soft n moist. think i should make it someday.. lovely blog and lovely snaps!